Yeah it looks like it’s time for the news again! 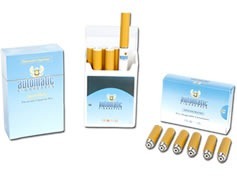 Automatic Cigarettes is offering its best deal ever on electronic cigarette starter kits. All starter kits offered on the company’s website can be purchased at ½ price during a 2 day sale beginning July 31st. Just enter the code “50off” when checking out at the company’s website. Both the Standard Starter Kit and the Deluxe Starter Kit are included in this amazing offer. The coupon code can be redeemed at checkout for half off of either of the company’s two starter kits. The Standard Kit is a portable charger, battery, and six cartridges. This is comparable to 9 packs of cigarettes. The equivalent to almost a carton of cigarettes can be purchased for only $15! To take advantage of this offer, one just has to go to the electronic cigarette company’s website and enter the code “50off” for the next two days. The Deluxe Kit does not come with the portable charging case, but the kit does include two batteries. The advantage of the Deluxe Kit is that it has two batteries. The kit comes with a gift box, wall charger, usb charger, 2 batteries and five cartridges. While this kit is normally $50, by entering the coupon code, the kit only costs $25.